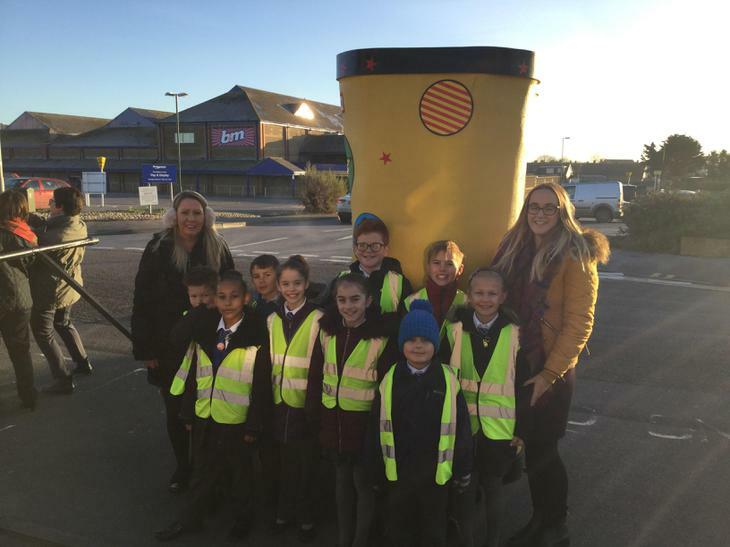 Claire Carter attempted her biggest and toughest challenge yet for BBC Children in Need. 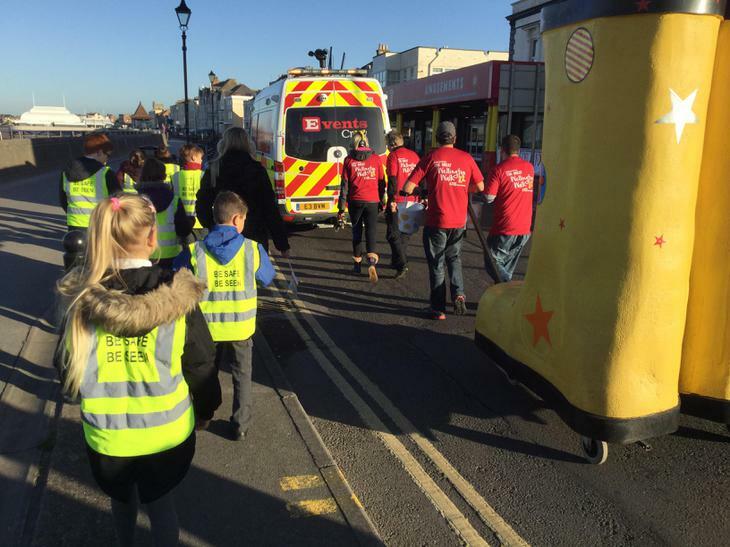 The Great Wellington Walk saw Claire walk 75 miles in just 5 days wearing wellington boots! The walk started on the morning of Monday 13 November in Wellington - the town where Claire lives. 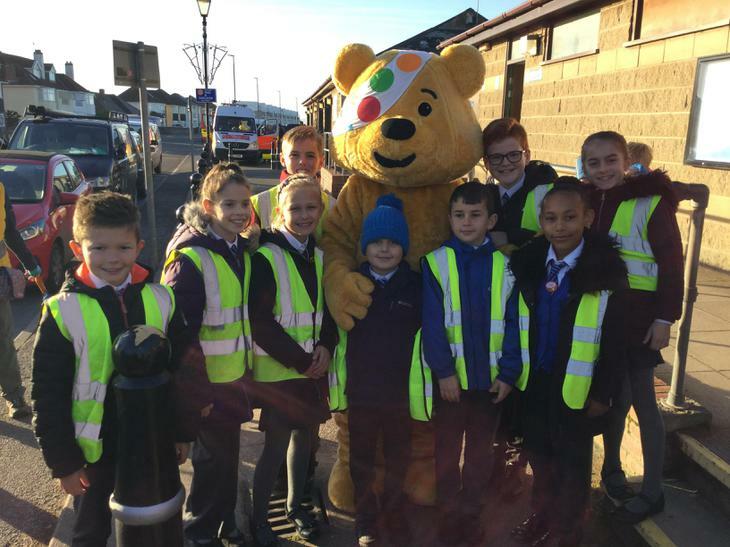 She then walked15 miles in each district of the county and will be visiting schools along her route with Pudsey. 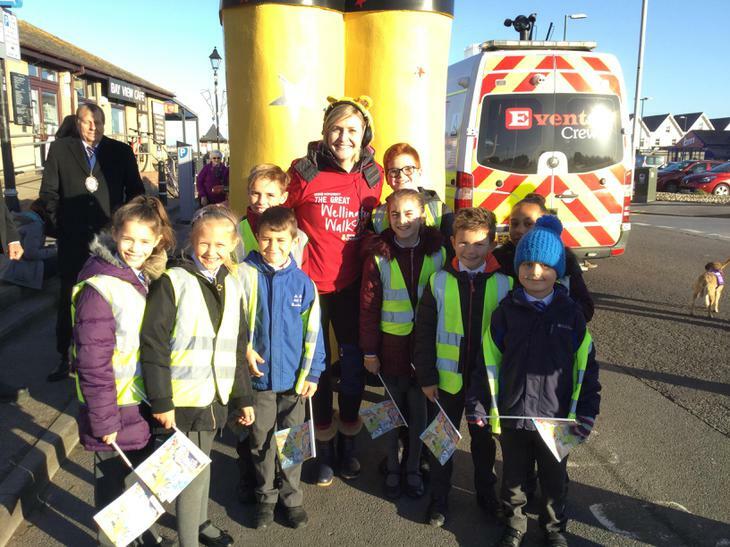 On day 5 she arrived at Burnham on sea Tourist Information Centre where she was then continuing on to Bridgwater and Albion Rugby Football Club travelling through Highbridge, West Huntspill and Pawlett. 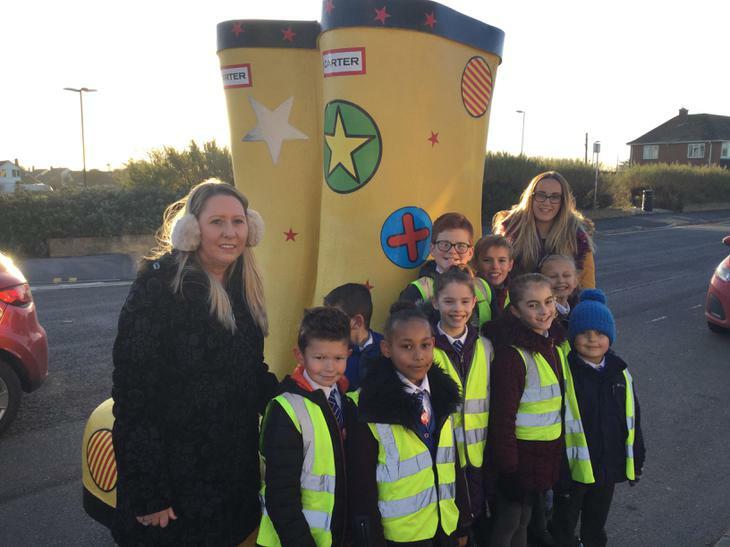 The members of the Chapliancy team walked up to the seafront with Miss Bishop and Mrs Williams to support Claire and wave her onto the last leg of her journey.